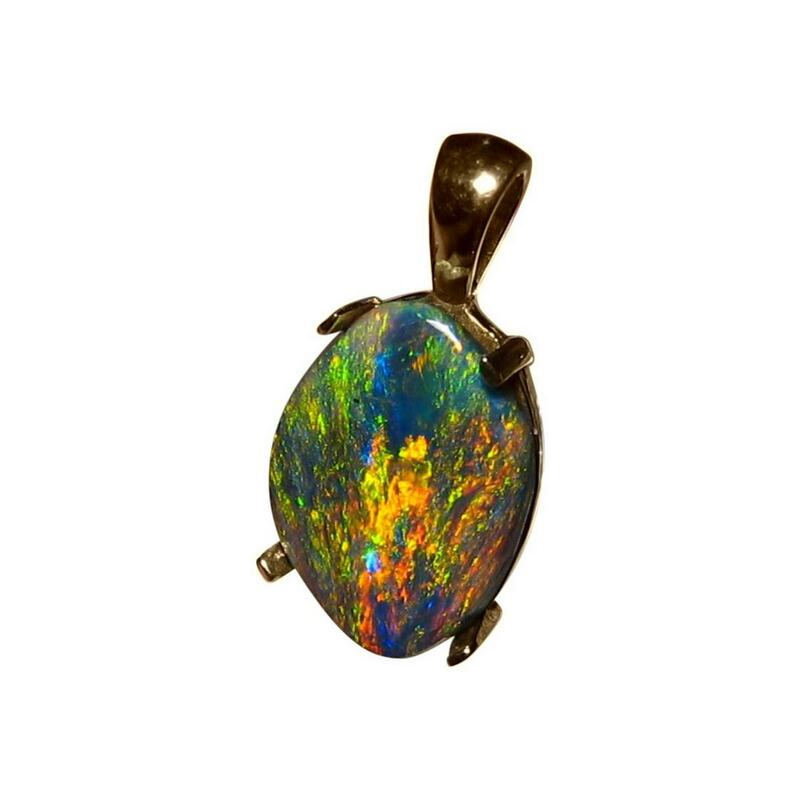 A gem Black Opal pendant in 14k Gold with a stunning mix of very bright colors. 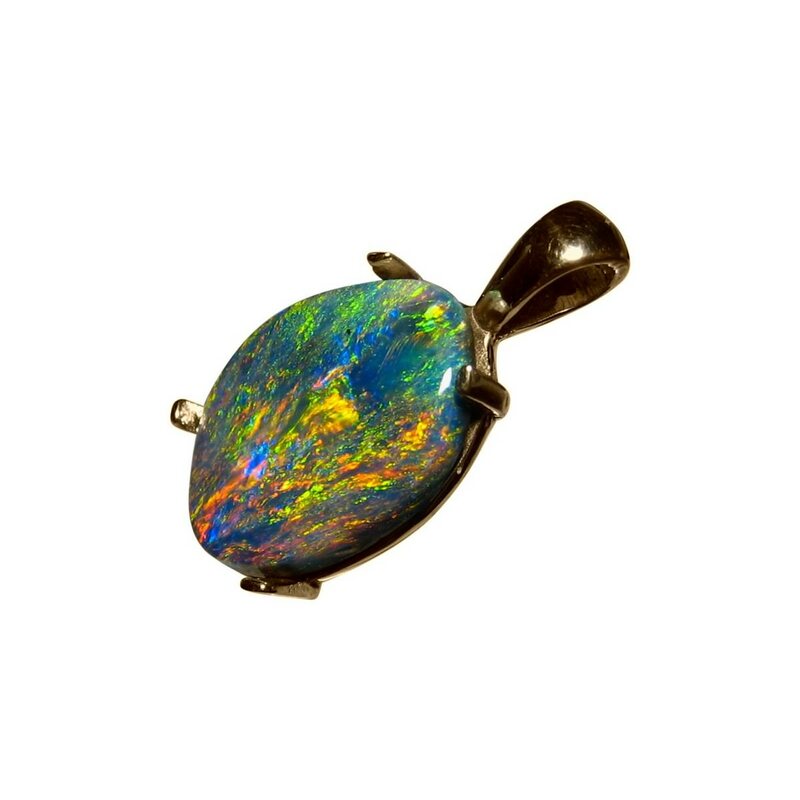 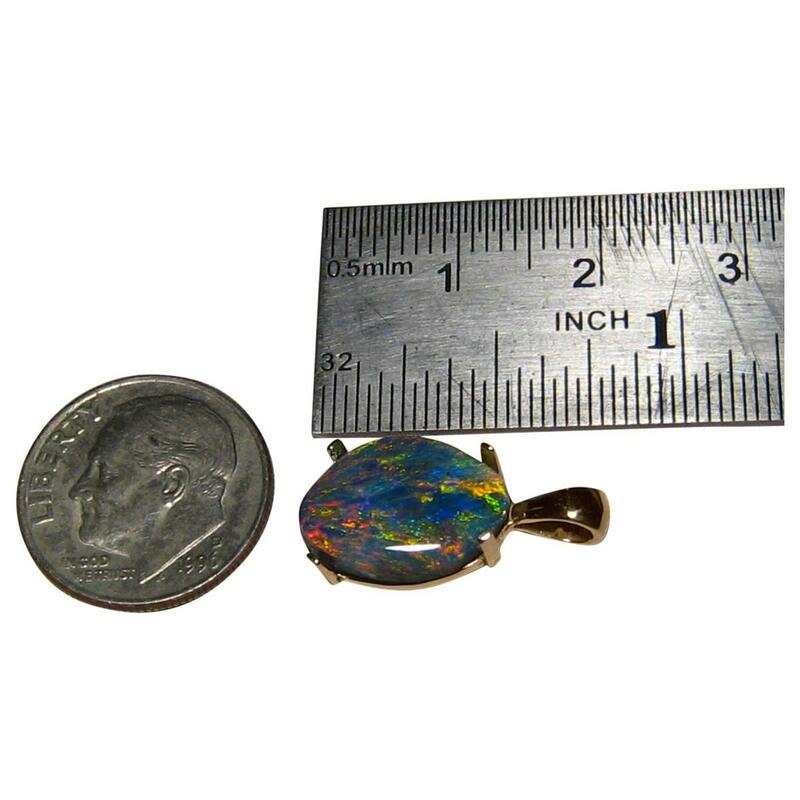 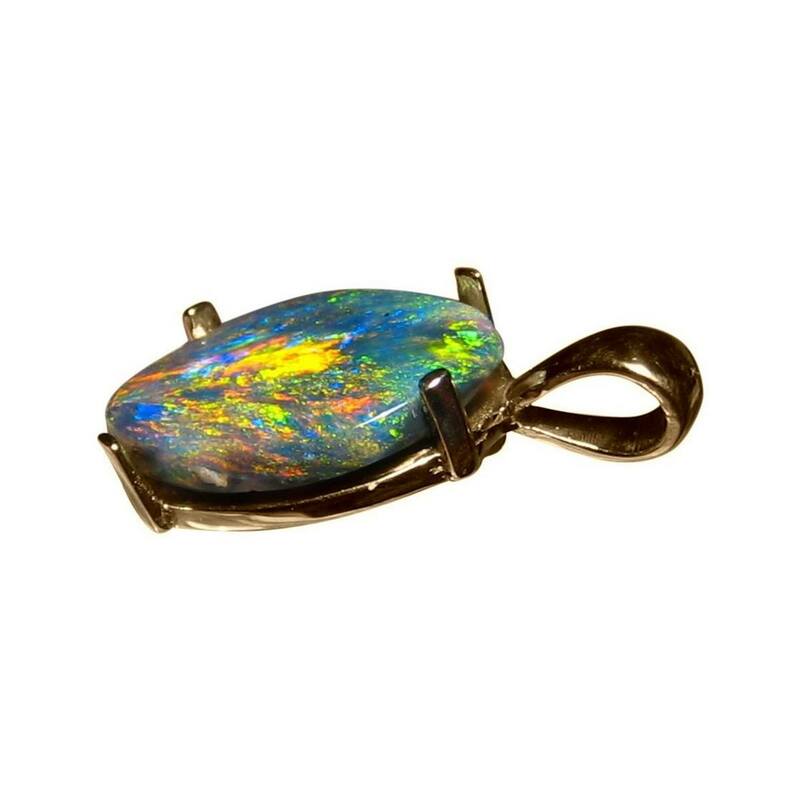 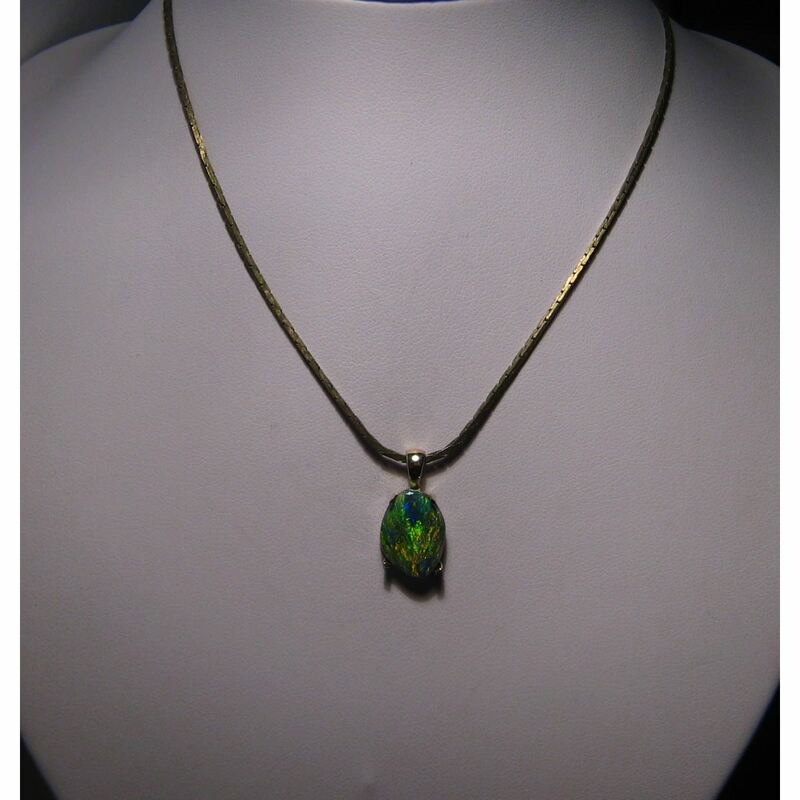 A gem quality Black Opal pendant shown in a prong set setting that is 14k Yellow Gold however as the Black Opal is not yet secured, the pendant can be made in White or Rose Gold. 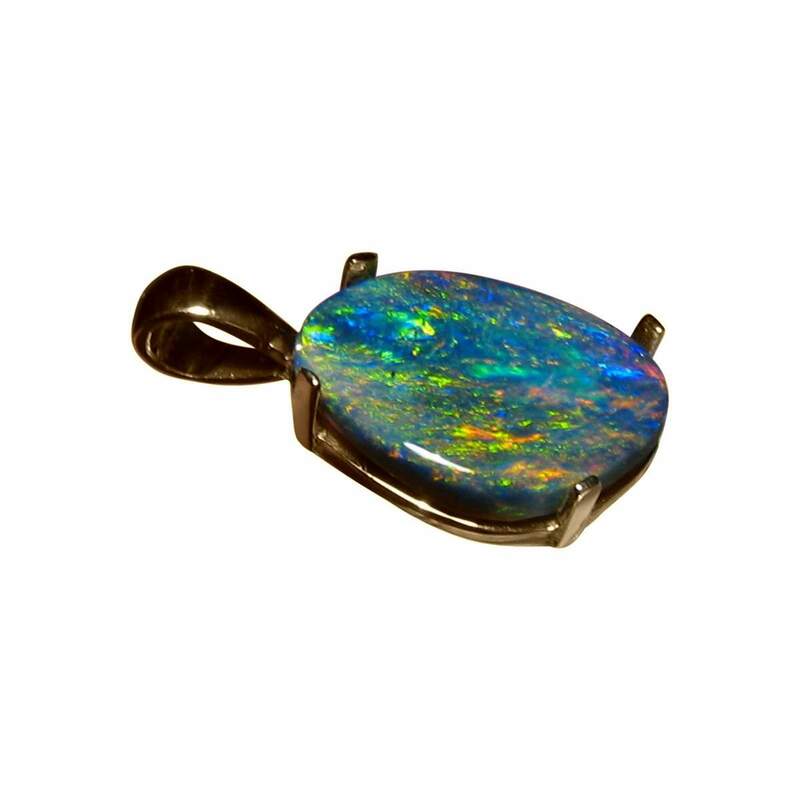 The free form Lightning Ridge Black Opal has an N2 body tone and weighs 2.35 carats displaying very bright colors in a Straw pattern you will see in the video below. 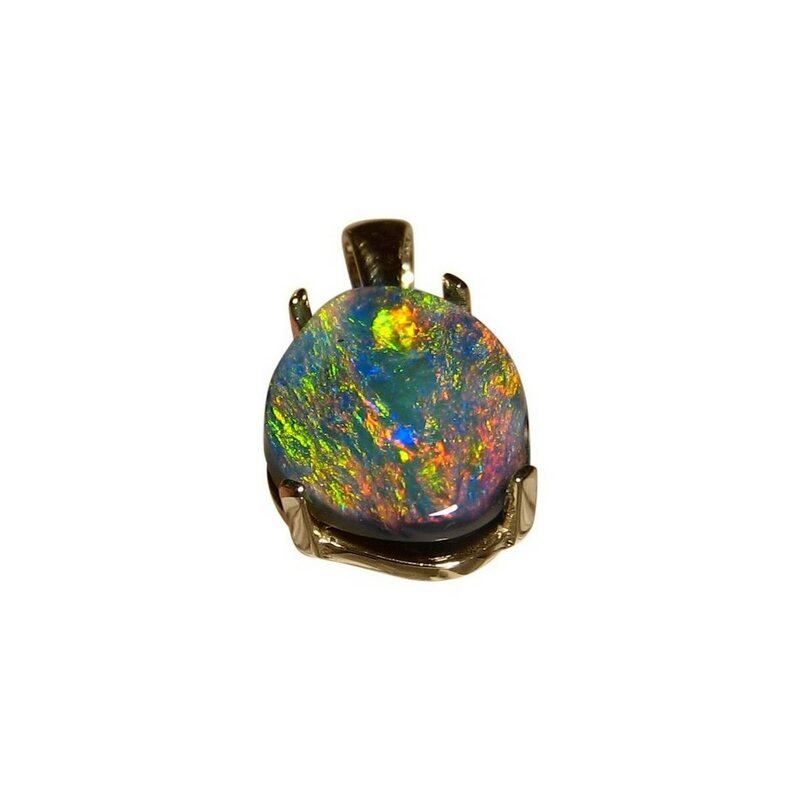 A style of Opal pendant that can be worn by men or women and is ready to ship now or will take about one week to ship for change of Gold color.